In the United States we have already seen many states ban s-called “conversion therapy” whereby a medical professional is not allowed to suggest that maybe, juuust maybe, a “gender confused” boy is actually a boy, or an actual girl a girl—despite this being but a transient phase that the kids get over. 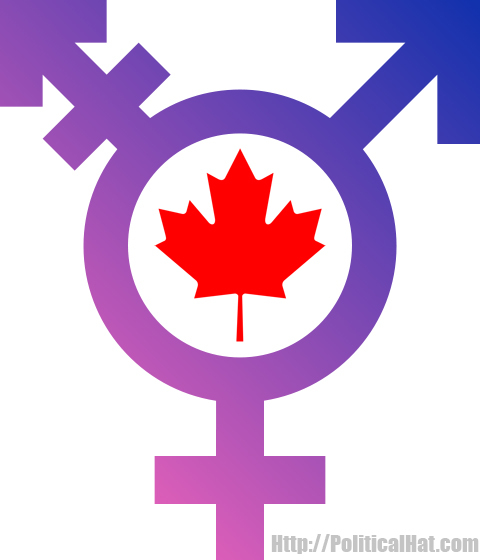 “The Canadian province of Ontario has passed a legislation that has been described by critics as ‘totalitarian’ as it allows the government to seize children from families who do not accept gender ideology. “Bill 89, or the Supporting Children, Youth and Families Act, 2017, was passed by a vote of 63–23 on June 1, the last day before Queen’s Park adjourns for the summer, Life Site News reported. “The measure repeals and replaces the Child and Family Services Act, which governs child protection services, as well as adoption and foster care services. Of course, it’ll still be perfectly legal to pressure a child to “go trans” since that would be seen as just “encouraging” them to come out of their cis-normative shackles. In contrast, if a child decides that they really aren’t transgendered, parents and authorities will pressure them to go back to being “trans” in order to fight cis-normative oppression and whatnot. Though they haven’t gone as far as Scotland, the new law provides for “early intervention services and community support services”. Remember, it’s not your child… it’s Leviathans. This entry was posted in Progressives and tagged Gender, Leviathan. Bookmark the permalink. What a stupid world we live in.